Missed buying a stock or exited too late? Tradestream.in keeps an eye on your stocks so you don't have to! Tradestream.in helps you go through thousands of charts in a minute by shortlisting stocks that show your chart patterns. 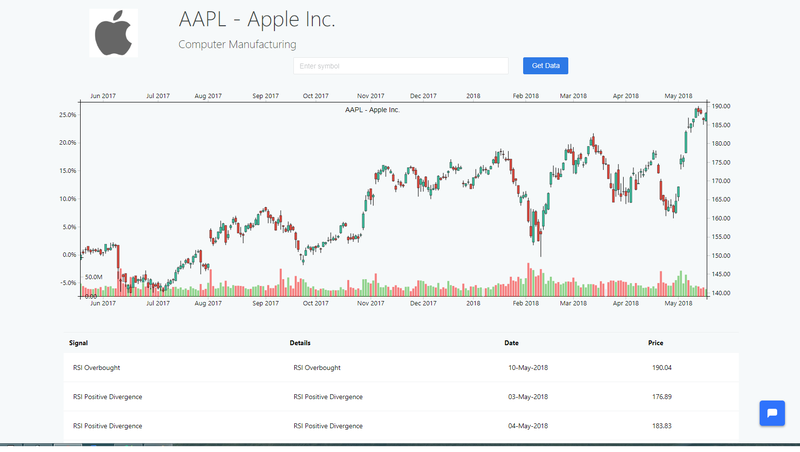 You can dive deep into a single stock to get a quick summary of all the indicators and patterns on it, or go wide and find all the stocks for your pattern. 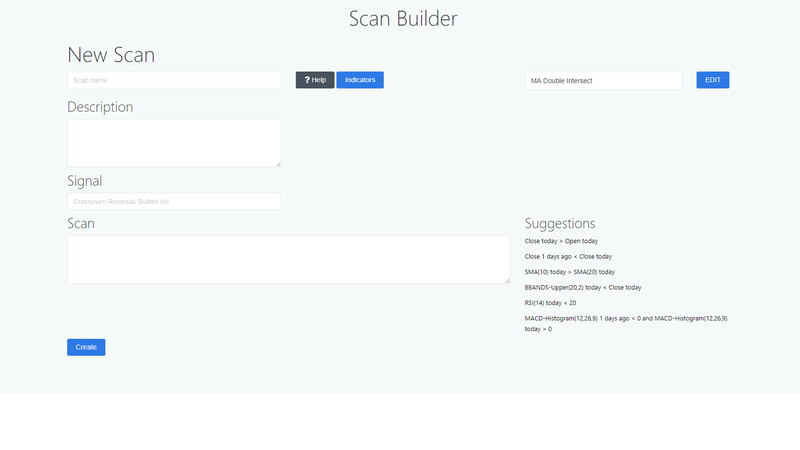 Write your own scans without any programming, just by typing in plain English! 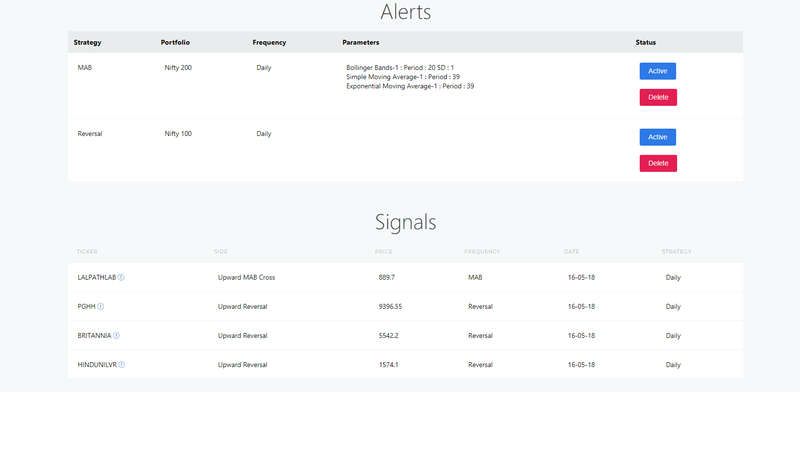 Email alerts keep you posted with signals on stocks you follow every day. Never miss a trade again! Create a watchlist of stocks you follow. 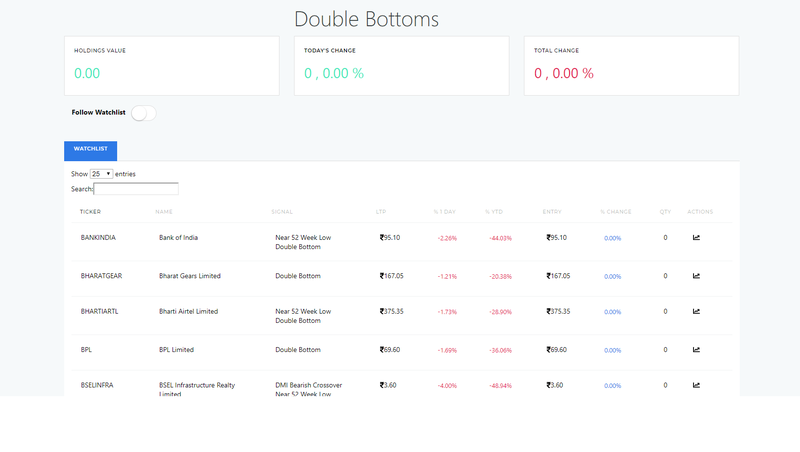 You can directly import your watchlist from Yahoo/Google Finance and supported brokers. Share the watchlist with your friends, and see what stocks other traders are following. 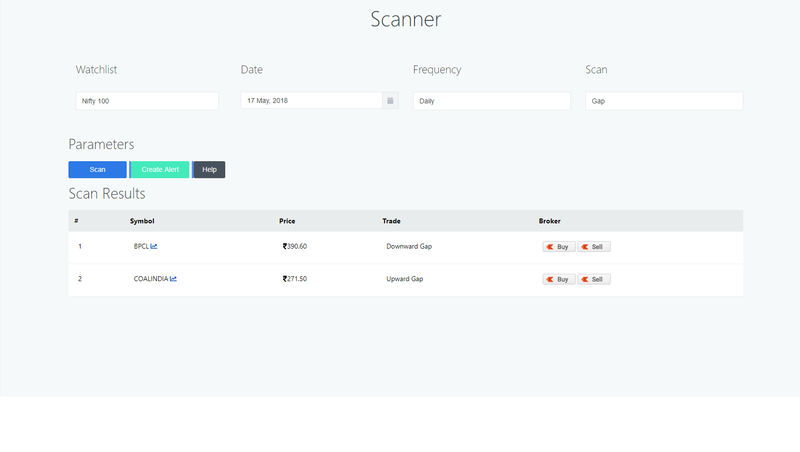 Hit the Scan button and find signals in thousands of stocks in seconds! 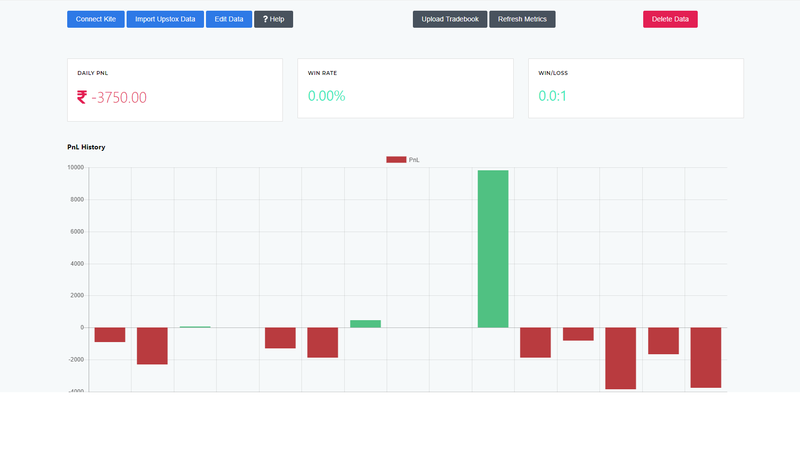 Check for signals on any historical date, on any time frame- daily, weekly, monthly!